The internet has become as prominent a channel for promotion as traditional advertising platforms. Restaurant owners can no longer ignore their online presence if they want to compete in the modern landscape. From social media to audience targeting, there are several useful tools that can help take your business to the next level of online marketing. We have compiled some of the latest, most useful tips for marketing your restaurant online. 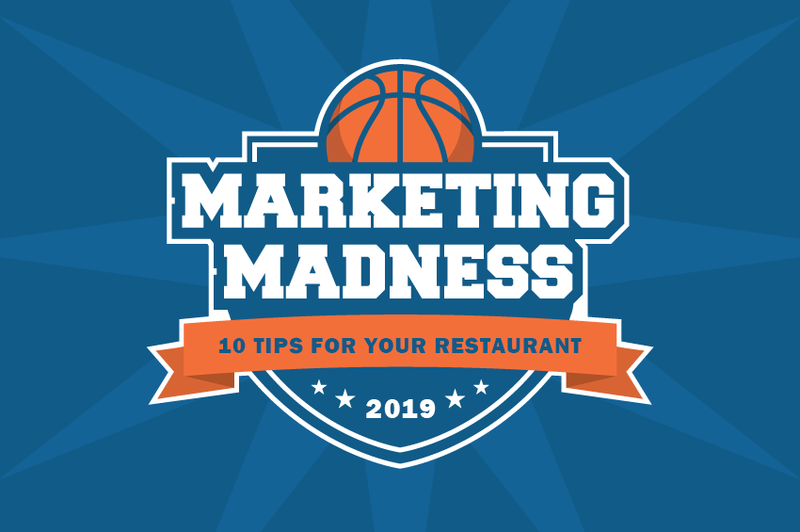 Not every tip is for every restaurant, but we know you will find something useful to give you a boost in your online marketing this March. Having a top-notch restaurant website design allows you to begin the dining experience before the customer even walks into your establishment. You can use your website to show diners the atmosphere as well as your drinks and menu items. You will want to make sure that your site is compatible with mobile devices as well! If someone is hungry the chances that they take the time to pull out their computer are slim. They are likely already on the go and will use a smartphone to quickly find a restaurant. If you’ve ever logged onto Instagram, you’ll understand that foodie photo obsession is alive and well. Arguably the very best way to promote your restaurant online is with high-quality, drool-inducing photos. Visual content is in high demand online these days, and having delicious looking photos on your website and across various social media outlets is essential for drawing hungry eyes. Consider hiring a pro to take some top-notch photographs, or try it DIY style with your smartphone. Be warned though – taking really great food photos can be tougher than it looks, as lighting is often a key factor. Are you actively promoting your restaurant website and focus highly on social media networks? You can’t compete successfully with other restaurants without a strong presence on social media. There are so many social media platforms, (e.g., Facebook, Twitter, Pinterest, LinkedIn, Google+), but you’re not required to use all of them. According to most experts, Facebook, Twitter, Instagram, and Pinterest are the best for restaurants, and you should focus on them. Above all, only share relevant information on these social channels. That’s the only way to differentiate your restaurant from others. Your relevance will depend on the quality of the content you share on those channels. Use the resources available to you to create beautiful content you so desire– in the forms of mobile apps, and sources for useful information online. Restaurant email marketing is another vital strategy to effectively marketing your restaurant. There are two ways to grow your email list; by getting customers to fill forms in-person and by getting them to fill forms online. Email marketing is an efficient way to “bait” your customers and keep them coming back. Using email marketing, you can showcase new additions to your menu and other exciting offers. However, email marketing can be tricky if not properly executed. So if you’re new to email marketing, don’t fail to consult an expert to find the best email marketing strategy for your restaurant. Restaurants are the most-searched industry by guests online: 81% search on their smartphones, 92% search on their desktop. When guests decide where to dine, you need to help your business show up where they are searching. How? Set up a Google Ad campaign. Google Ads reach the widest range possible in online advertising. It allows you to tailor text and image ads that you can refine and target through several metrics to ensure you are promoting the right content to the right audience. Google Ads does have the drawback of fluctuating cost for consistent results. There are many factors that impact the cost of your ad being show and interacted with. If you are not well versed in Google business platforms, it may be best to consult a professional. Text message marketing campaigns are one of the newest restaurant marketing ideas on the list. Encourage your customers to sign up for text messages from your restaurant. They can sign up using a simple number, called a short code, and a keyword that is specific to your business. When your customer sends the keyword to your shortcode they get an opt-in message that allows you to send them text messages anytime. Text message marketing gives you access to your customer base when you are running a special promotion, having a special event, or if you just want to send out a coupon. User-generated content (UGC) is a great way to develop personal and intimate engagement with users. Host a photo contest by asking customers to share their favorite meal at your establishment, and share the entries on a dedicated content page (and/or share submissions across your various social networks). Consider awarding some random lucky contestants with a free appetizer or other prize. Hosting and promoting user-generated content shows customers that you appreciate them, turning occasional visitors into die-hard devotees. Having a loyalty program is a great way to increase your sales. One way to start customers in your loyalty program is to obtain customer emails. You can easily do this through a website or, a landing page pop-up, or social media campaign. Loyalty programs encourage customers to keep coming back to get that free dessert or coupon. Check out how loyalty brings better business in this handout from Heartland Payment Systems. Sends emails to your customers on a regular basis. It is best to use language like “inner circle” and “$10 off just for you” to make their subscribers feel like they are part of an exclusive club. Through your email campaigns, offer discounts and coupons to get customers in the door for dinner.